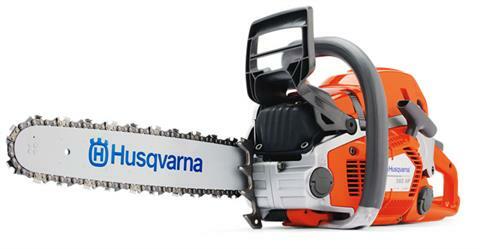 Husqvarna 562 XP® G has a ground breaking design and is loaded with innovative solutions for efficient, convenient operation with large air filter and the ability to fit 28 in. bars. Our unique X-Torq® engine technology provide more power where you need it, up to 20% less fuel consumption and 75% less exhaust emission. Heated handles increases comfort in cold and damp conditions. Weight Excluding cutting equipment - 13.9 lb.